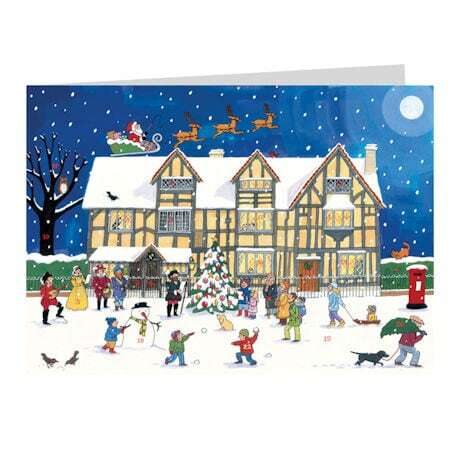 Deliver cozy scenes of old-world holiday cheer when you send your Christmas greetings via our British Buildings Card Set. 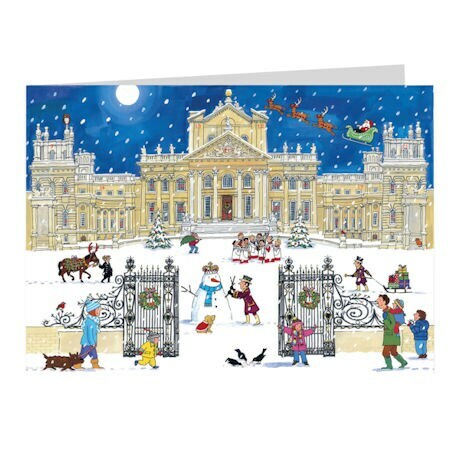 English artist Alison Gardiner whimsically illustrates Yuletide merriment at four iconic British buildings: Blenheim Palace (the Oxfordshire mansion where Winston Churchill was born); the sixteenth-century townhouse in Stratford-upon-Avon that Shakespeare called home; the Palace of Westminster (with Big Ben standing proud); and Highgrove House (the Gloucestershire home of the Prince of Wales). 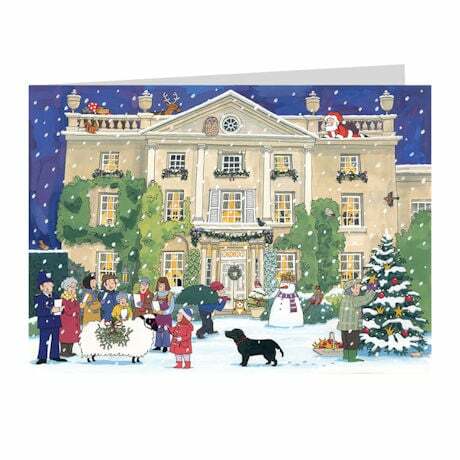 On each card, twenty-four small die-cut windows open to reveal colorful illustrations of interior festivities. 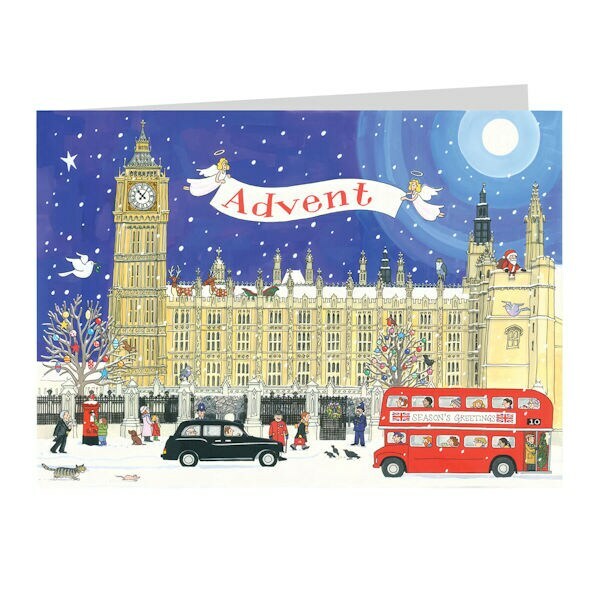 We're offering a set of four oversized (5¾"x8¼") note cards (one each of four designs), with envelopes, perfect for all the Anglophiles on your Christmas-card list! Extra postage required. Set of four.